The 3½ Litre or Model SA25.63 was introduced at the 1935 Motor Show for the 1936 season. 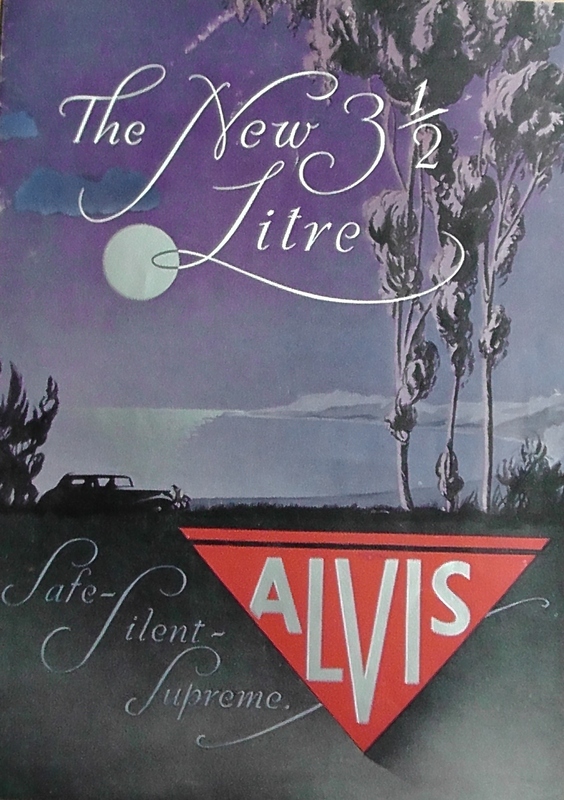 The second question I am often asked (after “what Alvis do you own?”) is “what is a 3½ Litre“; not very surprising when only 62 examples were produced making it one of the rarest of Alvis models. It is one of the 6-cylinder ‘sporting’ models which Dave Culshaw has described as being evolved by careful selection from the parts bin. Two ‘new’ units were in fact employed. The chassis was effectively an Speed 20 SD stretched to 10′ 7″ wheelbase but retaining the Speed 20 SD back springs (which were lengthened by a foot when the Speed 25 came along) and adding a solid floor plate filling the area between the gearbox and the batteries. Running gear, engine ancillaries and gearbox are shared with other models, but the radiator was about 4″ taller than the Speed 20 or 25 and the bodyline therefore that much more imposing. The grille is a bolt-on affair with a large number of narrow vertical slats, easily distinguishable from the other big sixes. Unlike the Speed 20, the model was available only as a chassis. 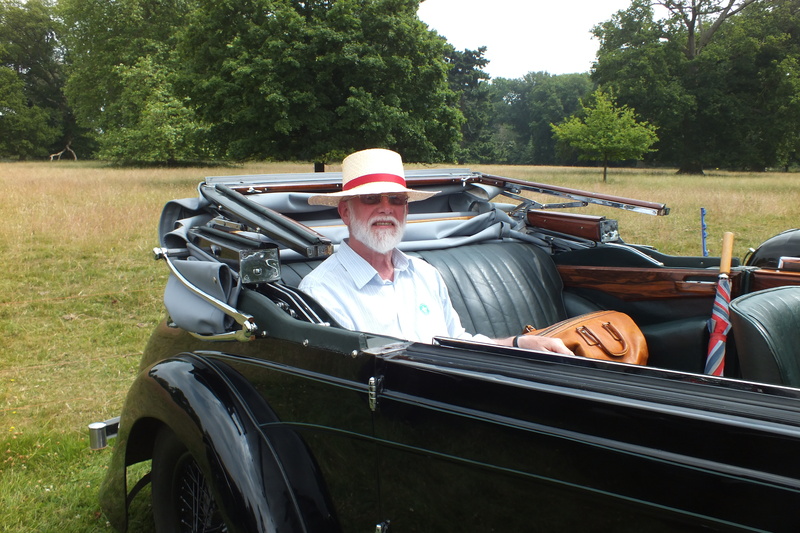 Coachbuilders associated with Alvis; Mayfair, Mulliner, Charlesworth, Vanden Plas, etc. put out body designs for the new chassis and there are therefore groups of cars which have bodies to the same design, but there were no “off the peg” cars such as were available for the Speed 20 and indeed for the Speed 25. Every body was individually ordered by the customer. Some bodies were one-offs, usually by companies not normally found building bodies for Alvis Cars. I believe that Alvis were trying to achieve a separation between the “standard” Speed 20 package of chassis and catalogued body and a more powerful chassis aimed at clients with a deeper pocket who wanted an individual tribute to their taste and discernment. The extra length and power would give body designers more scope to extend their imaginations. The mixture was perhaps not quite right, especially in the horsepower department, and was made over for the 1937 model season. The Speed 25 SB replaced the Speed 20 as the “off-the-peg” model and the 3½ turned into the 4.3, also only available as a chassis. The power may well have been needed to compete with the likes of Bentley, Talbot and Lagonda; the increasing weight and sophistication of bodywork affecting all makers. Of the 44 3½ Litre bodies of which the style is known, 32 were saloons. It would be interesting to know what the proportion was for Speed 20’s, Fireflies and Eagles of the immediately preceding years. My own supposition is that open body styles were becoming markedly less popular in the mid thirties. If this is so Alvis may have underestimated the need for more power to improve performance while carrying altogether heavier bodies. Production was laid down in one batch between 23rd July 1935 and 17th December 1936. Chassis Number 13086 – 13155 inclusive making 70 in total. 8 Chassis, 13148 to 13155 and engines thereto were laid down but not completed. The chassis may have been re-numbered and uprated into the first 4.3 litre batch. The engines 13598 to 13605 were diverted to a batch of Crested Eagles. The Bertelli SA25.63 with 4.3 engine. Nick Simpson thinks this is either a 3 1/2 Litre or a 4.3. Its a Vanden Plas Pillarless saloon. The unusual features that may help with further identification are twin air vents on the back edges of the bonnet top panels and it has twin spare wheels. My guess is its a late 3.5 litre or early 4.3 Litre. Early versions had the front wings curved tight behind the front wheels – this has the later style wings. 4.3’s from chassis about 13177 had the spare wheel mounted in a can on the boot lid. Nick Simpson says the style and back-end ‘lift’ are unmistakeable Mulliner. I think this on is a one-off, probably owned by Louis Antweiler, the Chairman of Mulliners. Its a 3 1/2 Litre chassis – the give-away is the bolt-on stone guard on the radiator. This car also appeared in a road test in Country Life in 1935. The four Freestone and Webb saloons were commissioned by Alvis and loaned to journalists resulting in several articles full of praise for the new model.